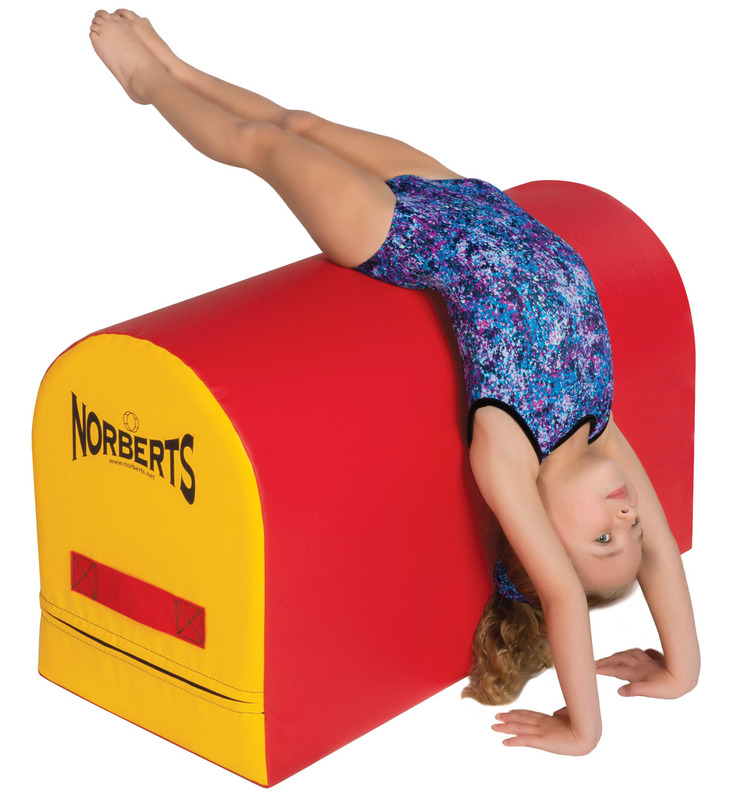 Norbert's Mailboxes are affordable aids for teaching dive rolls, handsprings, etc. Four sizes-large, medium, standard or mini-provide proper height for all users. Covers are made of tough 18 oz. knife-coated vinyl fabric. Filler is prime polyurethane foam. 2" handles are sewn onto both sides for easy transport and positioning. Standard colors are as pictured or you can choose your own color combination at no additional cost.